30mm Riflescope Series. Our flagship riflescope series is hand built with incredible precisionin Europe at our Czech headquarters and embodies the ultimate in premium-class hunting optics. Every MeoStar® R2 delivers maximum brightness with MeoLuxTM ion- assisted multi-coatings – giving 99.8% light transmission per lens surface – for absolute twilight performance. The REDZONETM illumination system delivers a precise, bright point of aim with total control of reticle intensity and contrast providing total targeting confidence no matter your game... from daylight to twilight and beyond. 30mm Riflescope Series. Coveted by professional guides and hunters and proven in the toughest hunting conditions around the world. The exceptional brightness, craftsmanship and unfailing durability of an R1riflescope will give you the advantage from morning twilight to the dead of night. MeoBrightTM ion-assisted coatings deliver superior light transmission. 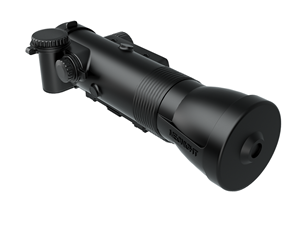 The REDZONETM illumination system delivers a precise, bright point of aim with total control of reticle intensity and contrast providing extra confidence to take the shot from daybreak to dead of night. 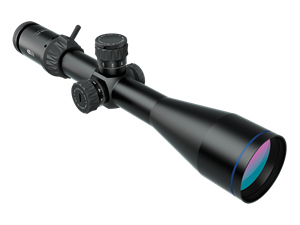 NEW for 2019 is the MeoPro Optika6 series of riflescopes, bringing the MeoPro line to the next level pairing the performance you have come to expect from Meopta with a 6x magnification range. 1” Riflescope Series. MeoPro® series 1” riflescopes combine exceptionally high optical performance with incredible affordability and value no other riflescope in its class can match. Built and optically fine-tuned in our European headquarters and manufacturing facility, each MeoPro® riflescope is ready to hunt or guide long-range rounds at the range. Proprietary MeoBrightTM ion-assisted multi-coatings deliver amazing brightness at twilight while the flawlessly assembled mechanics shrug off abuse and are guaranteed for life. Mount a MeoPro® riflescope on your best firearm and shoot with ultimate confidence. 30mm Riflescopes. Designed and built for absolute optical performance and to gain the upper hand in any engagement. The ZD® 30mm riflescope series delivers the precision and dependability required by military special forces, tactical squads, law enforcement agencies and competitive shooters around the world. From close-quarter engagements to dropping targets at over 1000 yards, ZD series scopes are built to uncompromising standards to shrug off punishment and deliver a clear tactical advantage those who protect the innocent. CQB Red Dot Sights. Purpose built for the rigors of combat and competitive shooting our compact reflex. 2018 Meopta – optika, s.r.o. 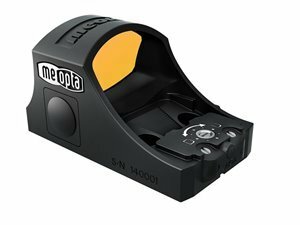 and Meopta U.S.A., Inc.